The Doom 3 Mod Blade Yautja has DLC, and it doesn't cost you a penny! 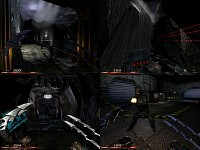 This pack features a remake of the first three levels from the origional AvP by Rebellion. Be sure to read the readme as it tells you how to load the level right from the game. You can download the DLC here. Blade Yautja is a Doom 3 mod that lets you play as the Predator from the AvP series of games/movies. To follow up with the previous news post, Brutal Doom 64's not got a release date & trailer: October 30th, 2016. It will feature all the Doom 64 maps! Doom 64 was the Doom released on Nintendo 64, which wasn't a port but a brand new game. 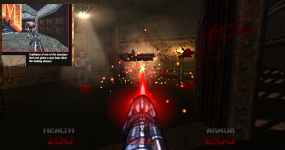 Combined with the idea of Brutal Doom, this is to remake Doom 64 with more gore and action! Sergeant Mark IV is showing off his work with Brutal Doom and Doom 64. He shows it off in Doom, Doom 2, and Final Doom. He plans on releasing this before October 31st. Bladeghost is showing off a DLC for his Doom 3 mod, Blade Yautja. The DLC being shown is name Black Mountain. There's not much info except for screens and video. 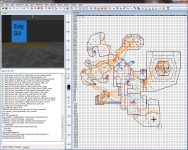 Func_Msgboard posted two new Quake SP maps. The first map is named “Infernal Ascent.” You can download it here and be sure to check out the author's blog. Screenshots below. 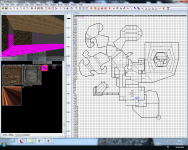 The next map is named “The Bonehoard.” This map requires Qoth and can be downloaded here. Thank you to Func_Msgboard for posting about these.
. Here's some WIP screens for you to enjoy too. 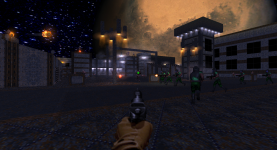 Doom Reborn is a remake of Doom and Doom ][ in the Doom 3 engine. The team has been working on it for a while. Be sure to give it a try! Thank's Game Hacker for letting me know. Func_Msgboard posts about a new Quake map. He author says 3 maps but I count 4 + a new start map. I've got a couple screens to view. The author says it's a “thank you” to CZG for his maps Honey and Saint (can't find a link to saint? ), and some comments say it's a little to close to CZG's maps. Either way, you can download here and leave a comment over at Func_Msgboard. There's some more WIP shots of Doom Reborn maps over at modd.com. 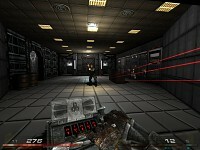 Doom Reborn is a total conversion of the original Doom games for Doom 3. You can download the prebeta here.